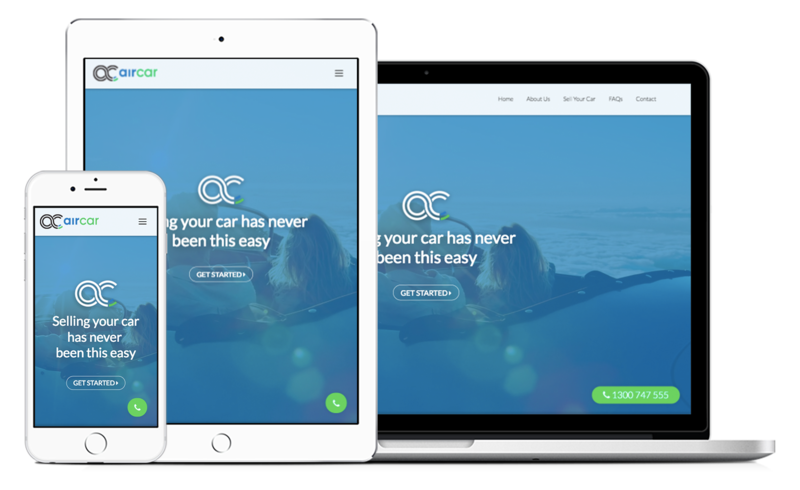 AirCar came to us with the idea to build a young and fresh website for their business. Their idea? To allow their website users to sell their cars via an online portal. They wanted the website to be clean, straight-forward and easy to use. At the time AirCar came to us with their business idea, they were yet to design their logos, and yet to define their branding guidelines, so we put them in touch with a third-party contact to design their business logo, and delivered a series of mockups to try help encapsulate their vision for their brand. To add some extra flair, we suggested a simple video background, a few graphics, and a simple colour scheme. The result? Why not take a look!